Wright Day to Give is a one-day giving challenge Oct. 1 to honor Wright State’s history by giving back to students. 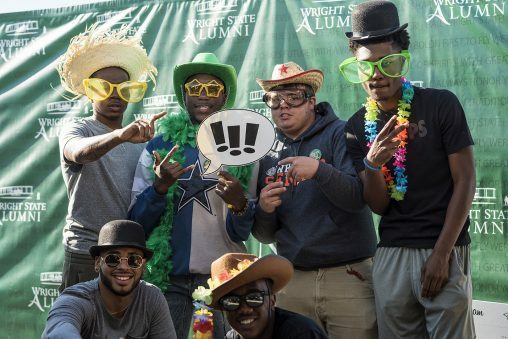 The annual chili cook-off, golf cart parade, bonfire, trivia, casino night, alumni awards, social media vending machines and even soccer, baseball, club football and bowling will be among the abundance of activities during Wright State University’s Homecoming Week Oct. 1-6. 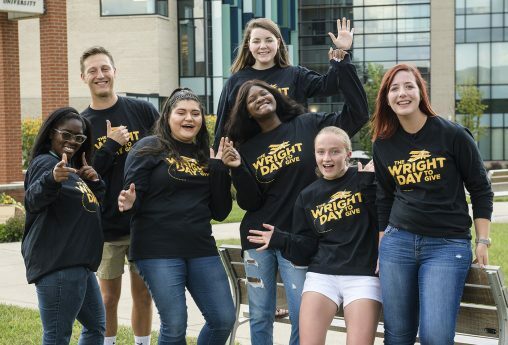 The Wright State University Alumni Association will kick off the week with the second annual Wright Day to Give on the university’s Founder’s Day, Monday, Oct. 1. The one-day giving challenge honors Wright State’s history by giving back to students. The goal is to attract 500 donors with the theme: One Day. Every Raider. Everywhere. Shope Jones added that every gift, no matter the size, makes a difference. The free Homecoming Festival on Saturday, Oct. 6, in the Rinzler Student Sports Complex area is the anchor of Homecoming Weekend and includes live music from My Girl Friday, a chili cook-off, craft beer, DJ, food trucks, games and more. Attendees can get pumped up to cheer on the men’s soccer team immediately following. 5:30–7 p.m.: Organizational Leadership Launch, Atlantis Room, Student Union. Now in its fourth year, this event is an opportunity for Organizational Leadership alumni to reconnect and network with one another, as well as with faculty and current students. Register here. 6–8 p.m.: Alumni Achievement Awards (by invitation only), a night to honor and celebrate a select group of outstanding alumni. 7–10 p.m.: Trivia Night, Apollo Room, Student Union. Test your trivia knowledge against hundreds of fellow alumni, faculty, staff and students. Hosted by the College of Education and Human Services, this team-based trivia night will be a great time for everyone. Proceeds support student scholarships. Register here. 8–10 p.m.: Pub Science, Rathskeller, Student Union. Enjoy a pint while learning about interesting topics taught by College of Science and Mathematics faculty. 8–11 p.m.: Casino Night, Union Market. The Student Union Market is transformed into a casino for the night. Try your luck at roulette, poker and blackjack. Open to all students, alumni, faculty and staff. 10 a.m.–noon: Legacy Scholarship Brunch (by invitation only). The annual brunch provides legacy scholarship alumni, donors and families the opportunity to hear about the impact their donations have on students. Noon: Club Football vs. Ohio State, Rinzler Sports Complex. 3 p.m.: Women’s Soccer vs. UIC, Rinzler Sports Complex. Cheer on the women’s soccer team before live music kicks off the festival. 4:30–7 p.m.: Homecoming Festival, Rinzler Sports Complex parking lot. The anchor of Homecoming weekend — live music, a chili cook-off, craft beer, DJ, food trucks, games and more. 7 p.m.: Men’s Soccer vs. UIC, Rinzler Sports Complex. Cheer on the men’s soccer team to a victory to round out Homecoming weekend.